★ "King's brilliance, artistry, and originality as an author shine through in this thought-provoking work. ...] An unforgettable experience." SLJ, starred review. 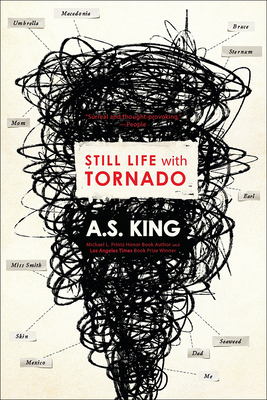 A.S. King is the award-winning author of eight acclaimed YA novels. Her novel Please Ignore Vera Dietz earned a 2011 Michael L. Printz Honor and Ask The Passengers won the 2013 Los Angeles Times Book Prize. The New York Times called her "one of the best YA writers working today." King lives with her family in Pennsylvania, where she returned after living on a farm and teaching adult literacy in Ireland for more than a decade. www.as-king.com From the Hardcover edition.